Dark colored grapes are crushed and fermented to prepare red wine. Red wine contains phytochemicals like Quercetin and antioxidants such as resveratrol and proanthocyanidins. Red wine, if taken in moderate amounts daily is good for health. One glass of red wine if consumed daily lowers the risk of heart diseases, cancer, reduces inflammation, enhances memory and extends lifespan. It is believed that despite consuming saturated fats and cholesterol in high amounts french people are at low risk of heart diseases because they consume red wine along with whole foods and practice a healthy lifestyle. Depending on taste and color type of red wine vary. Some common varieties of red wine are Merlot, Zinfandel, Pinot noir and Cabernet Sauvignon. Red wine contains only 12 to 15 percent of alcohol. In this article, we will discuss the benefits of red wine. Consume red wine For a healthy heart- Red wine retains HDL and reduces LDL. HDL is good cholesterol and LDL is the bad cholesterol that causes oxidative damage. Drink 1 or 2 glasses of red wine daily to reduce blood pressure and to reduce the risk of stroke. Resveratrol present in red wine prevents heart diseases by limiting the accumulations of saturated fats in the arteries. Saponins and Flavonoids present in red wine also reduces the risk of heart diseases. Procyanidins and Resveratrol open blood vessels and contribute towards healthy and flexible blood vessels. Consume red wine to prevent cancer- Presence of Proanthocyanidins in red wine prevents breast cancer, cancer of the colon, prostate cancer and cancer of the ovary. In menopausal women consuming red wine daily reduces the risk of breast cancer. Consume red wine to slow aging- Red wine contains antioxidants, especially Resveratrol that slows the process of aging and reduces wrinkles and fine lines. Procyanidins present in red wine also contributes in increasing life span. Consume red wine to prevent dementia- Resveratrol present in red wine keeps blood vessels open and plays an important role in increasing the supply of blood to the brain. Proper blood supply to the brain prevents dementia. Red wine prevents depression and keeps the mind healthy. Consume red wine to prevent liver diseases- Drink a moderate amount of red wine daily to reduce the risk of fatty liver. 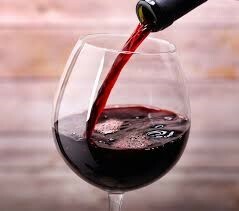 Consume red wine to prevent tooth decay- Red wine prevents the tooth from decaying by hardening the enamel. Polyphenols present in red wine reduces the inflammation of the gums and prevents various gum diseases. Red wine also whitens teeth. Consume red wine to prevent common cold- Research shows that people who consume red wine daily, catches a cold rarely. Consume red wine to prevent type-2 diabetes- Resveratrol present in wine is known to improve the sensitivity of insulin and thus decreases the risk of diabetes type-2. Drinking red wine in moderate amount say 1 or 2 glasses daily is good for health. If you consume red wine more than recommended amount it will have an adverse effect on your health.